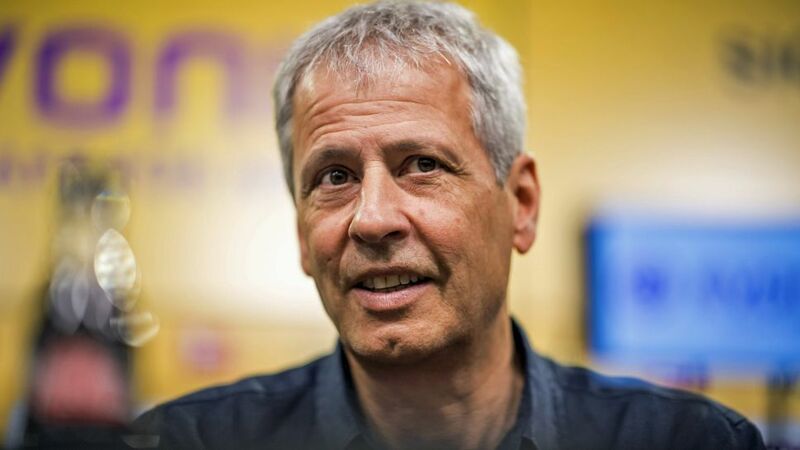 Borussia Dortmund unveiled new head coach Lucien Favre on Friday, with the Swiss tactician speaking of his ambitious plans for the season ahead with a team that he says must be able to counter, adapt and play intelligently. Favre had been on Dortmund’s wish-list since last year, club CEO Hans-Joachim Watzke confirmed in the press conference on Friday. As the former Borussia Mönchengladbach coach was still under contract with Nice in France, however, it didn’t work out as planned the first time of asking. Read: How will Dortmund line-up under Favre? Now, though, with a full summer of preparation ahead and a young, already-improving squad in front of him, excitement is building before Favre's first season with a club who - in his own words - are "impossible to turn down." Sixty-year-old Favre is well-known to the Bundesliga after two and four year spells in charge of Hertha Berlin and Gladbach respectively. He brought success to both clubs, and his style of play and ability to develop his squad is something Dortmund were very attracted to. Watch: Borussia Dortmund's 2017/18 season review! Despite insisting that the club remains fiercely ambitious, Watzke was quick to ensure that the immediate objectives in 2018/19 won’t be over-the-top. Favre already knows some faces in the Dortmund squad, but is far from the only new signing at the Signal Iduna Park this summer. Marius Wolf has arrived from Eintracht Frankfurt, Abdou Diallo from Mainz, Thomas Delaney from Werder Bremen and Marwin Hitz from Augsburg, while more could still come as Favre and Zorc work together to build the squad. The near 28-year veteran of coaching will be reunited with Marco Reus - his prodigy during his time at Borussia-Park who went on to join Dortmund. Reus has called Favre “the best coach I've ever had”, which is perhaps unsurprising considering he scored 18 goals in 32 Bundesliga games for the Foals under his guidance in 2011/12. Favre will take his Dortmund team on a tour of the United States to face Manchester City, Liverpool and Benfica in Chicago, Charlotte and Pittsburgh respectively between 20-25 July. Dortmund will then return to Germany as preparations for the 2018/19 Bundesliga season intensify.